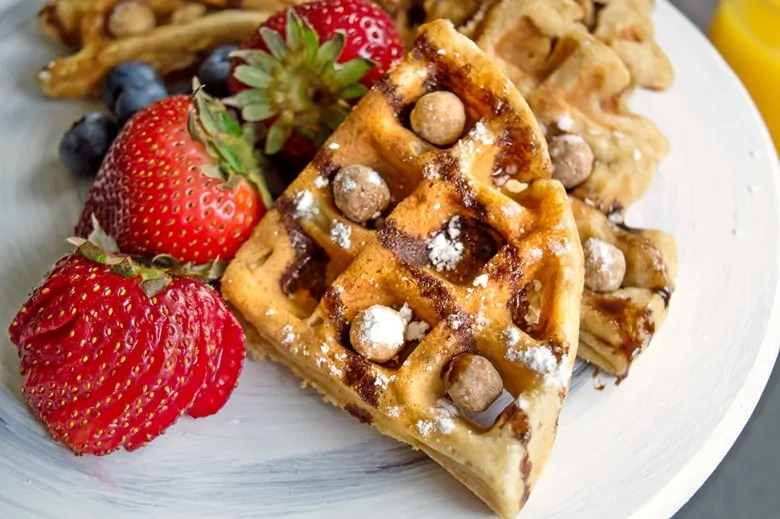 Reese's Puffs cereal waffles combine two breakfast favorites — cereal and waffles — for a rich and peanut-buttery breakfast treat. Sure, cereal is great in a bowl in a bowl with some milk. But it also makes an excellent ingredient in breakfast recipes like these Reese's Puffs Cereal waffles. 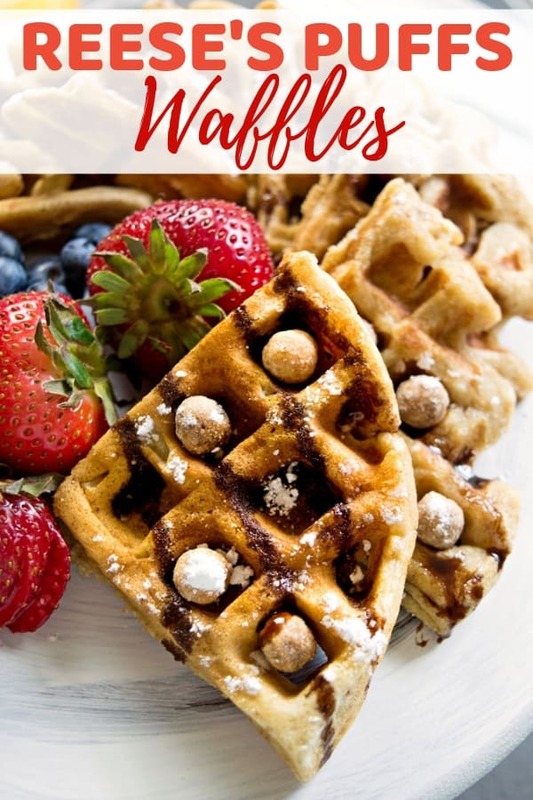 If your kids love Reese's Puffs cereal, they are going to go wild for these delicious Reese's waffles. Don't get me wrong though, these tasty peanut butter waffles are a hit with the adults too. 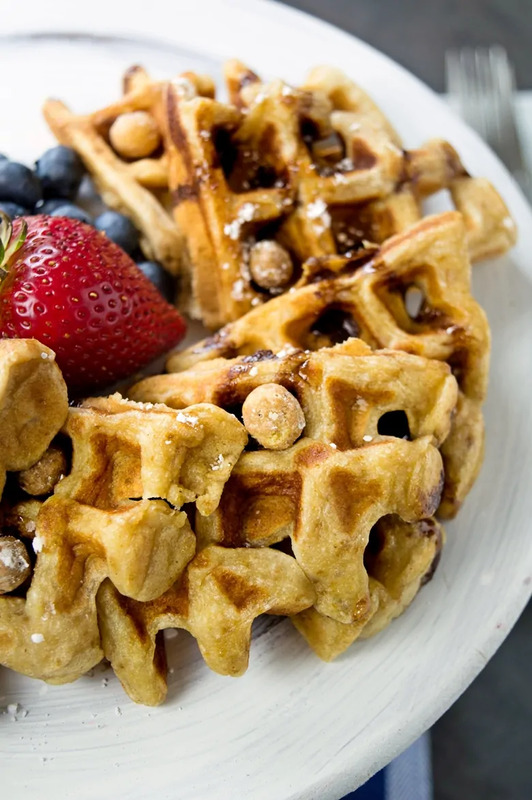 Any peanut butter lover will love these amazing breakfast waffles. This recipe is very easy to make. Start by crushing the Reese's Puffs cereal. You can crush them in a plastic baggie or right in a bowl like we did. 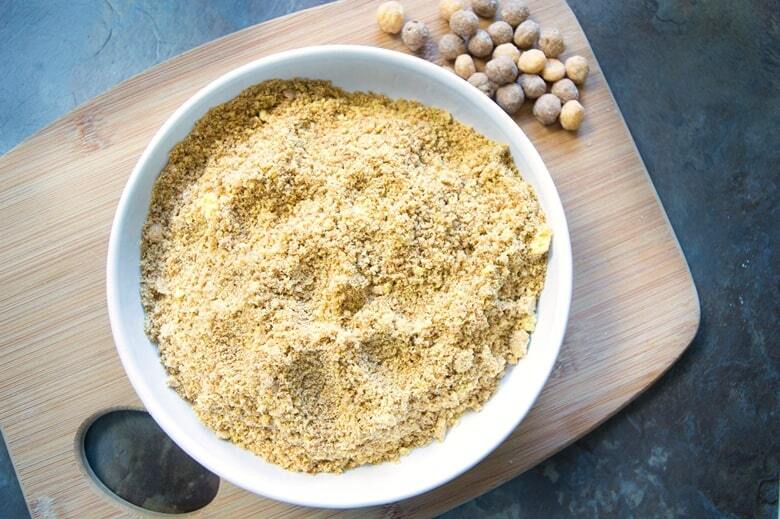 Next, combine all your dry ingredients in a large bowl and mix well. In another bowl, whisk together all of your wet ingredients. Then, combine the wet and dry ingredients, mixing well to combine. 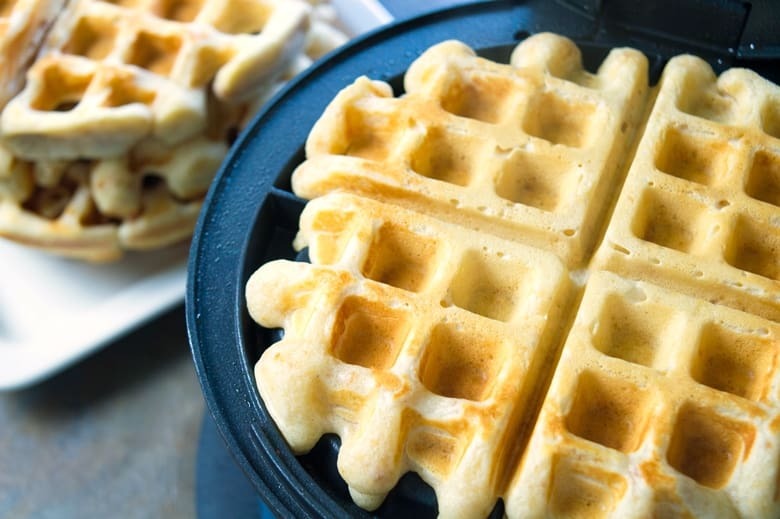 Pour batter into your waffle iron and cook waffles until they reach a nice golden color. Remove from waffle iron, top with your choice of toppings, and serve. 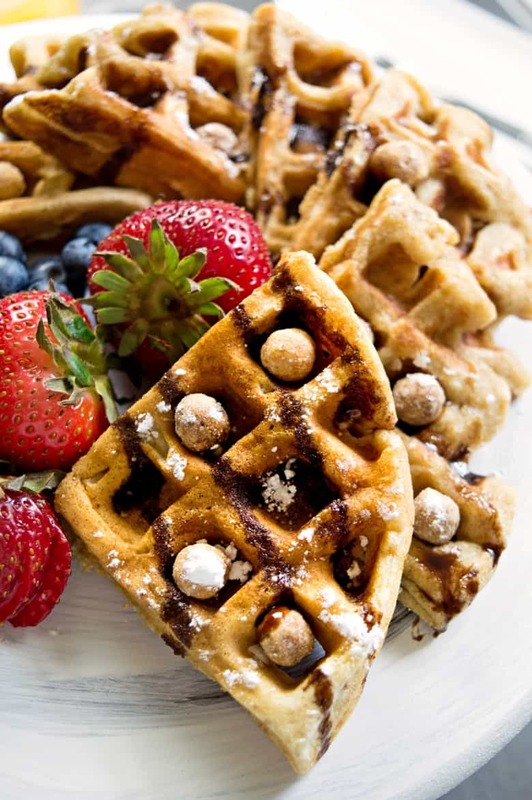 Adding toppings to Reese's waffles is a great way to really jazz them up and make it a truly unforgettable breakfast. I hope that you and your family enjoy these rich and tasty waffles. By the way, you can make waffles with a number of different cereals. Just add crushed cereal to the mix. I plan on trying it with Fruity Pebbles next. Yum! 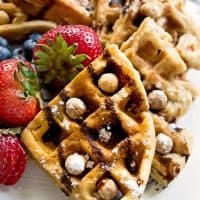 Combine two breakfast favorites -- cereal and waffles -- with this rich and peanut-buttery Reese's Puffs cereal waffles recipe. 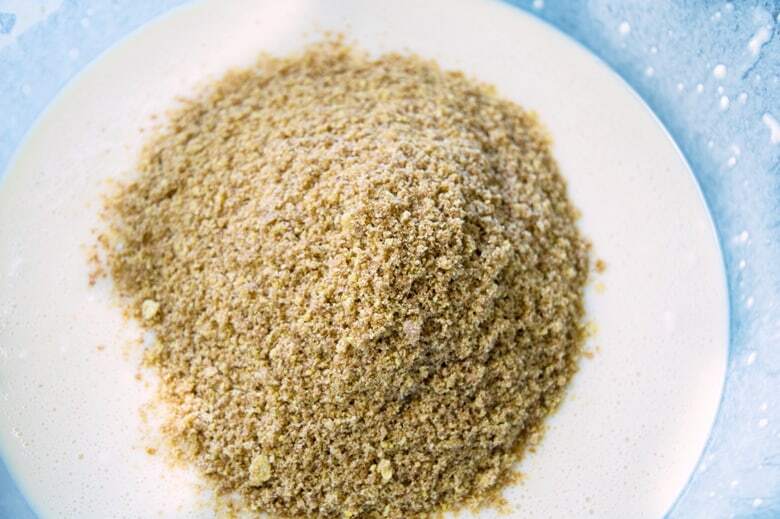 Combine flour, crushed cereal, baking powder, sugar, and salt in a large bowl. Whisk well to combine. In a second bowl, combine eggs, milk, butter, and vanilla. Whisk well to combine. 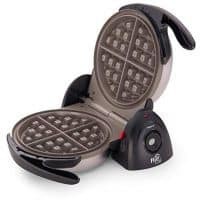 Carefully pour waffle mix onto hot waffle iron. Cook until waffles are golden. Repeat until all waffles are done. Top with your choice of toppings, if desired, and serve warm.